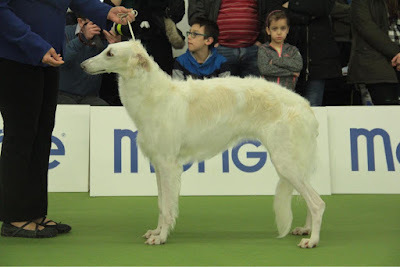 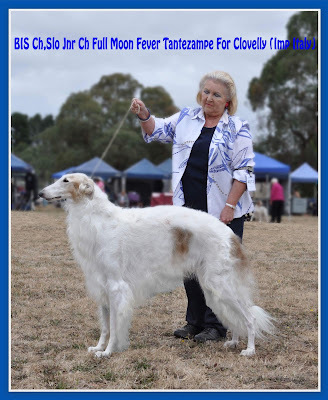 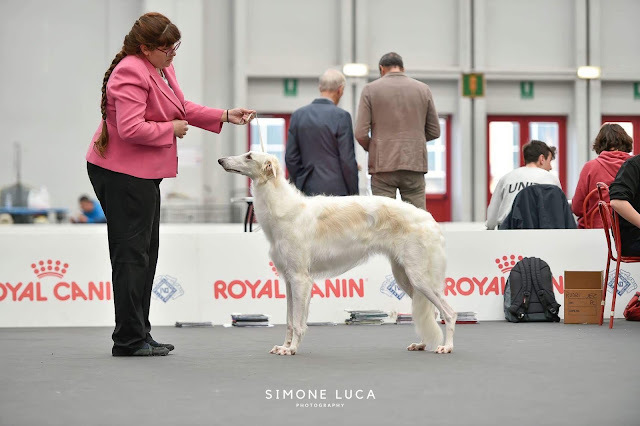 Just a few days after Mooney's win at the Borzoi Club of Victoria Championship Show, Mooney aka AUS CH FULL MOON FEVER TANTEZAMPE FOR CLOVELLY rocks the rings again at The Royal Melbourne Show. 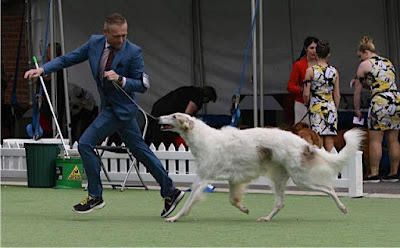 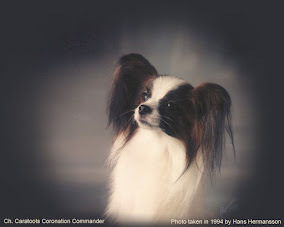 Judged by Mrs. Virginia Lyne, Mooney wins Dog CC, Best Male and R/Up BOB! The day just gets better when his daughter Clovelly Arctic Queen went Best of Breed, who was also a Group finalist.